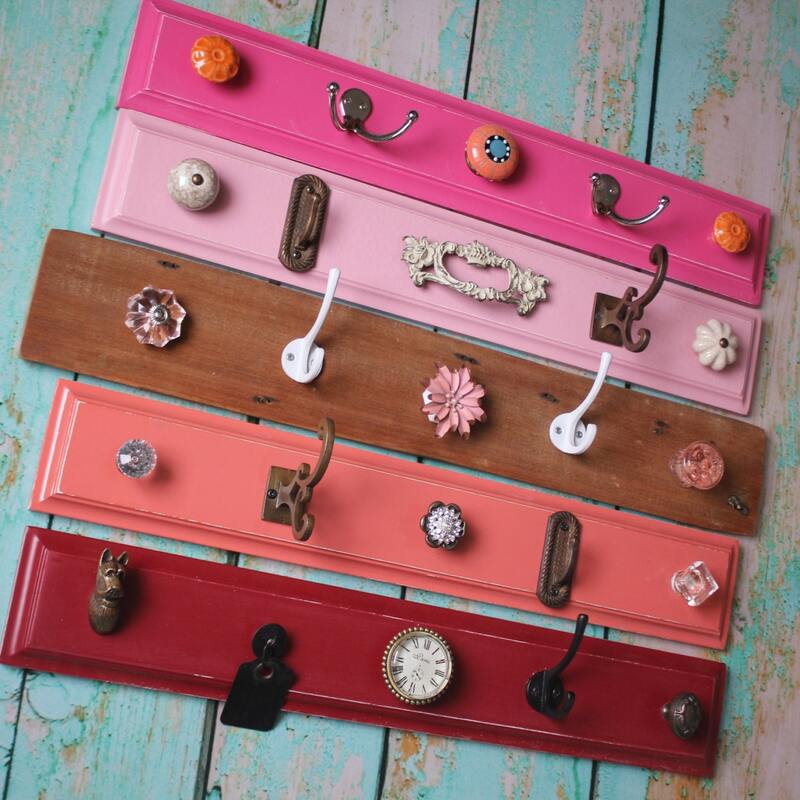 A unique and beautiful organizational piece that is sure to bring color and style to any space. 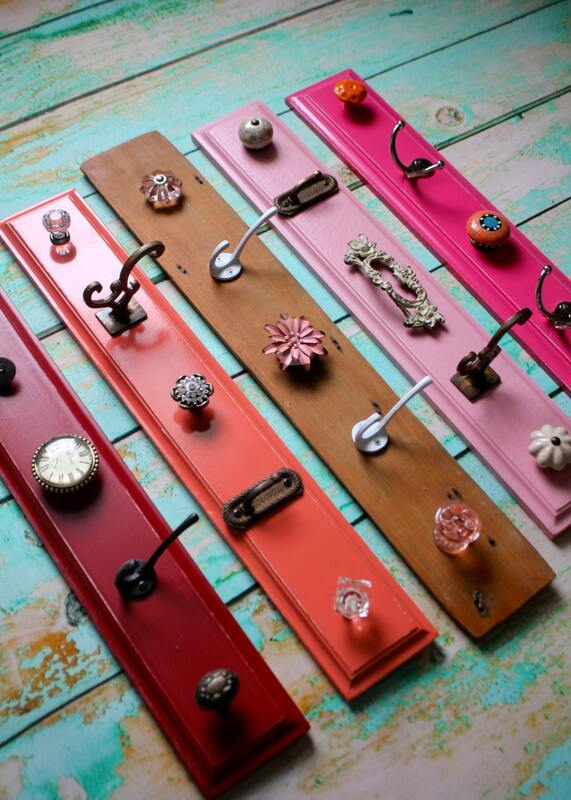 This painted hook board is a great way to display your jewelry, scarfs, or hang anything you want to show off. 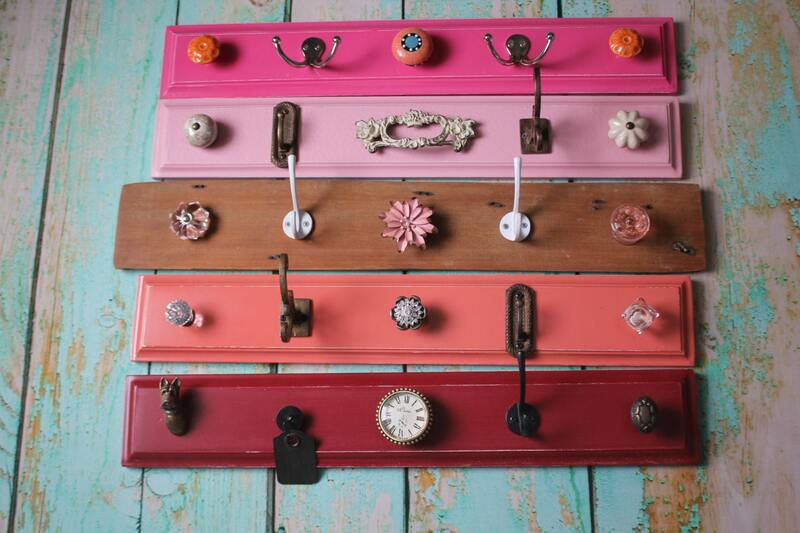 Makes a beautiful headband holder for a nursery! 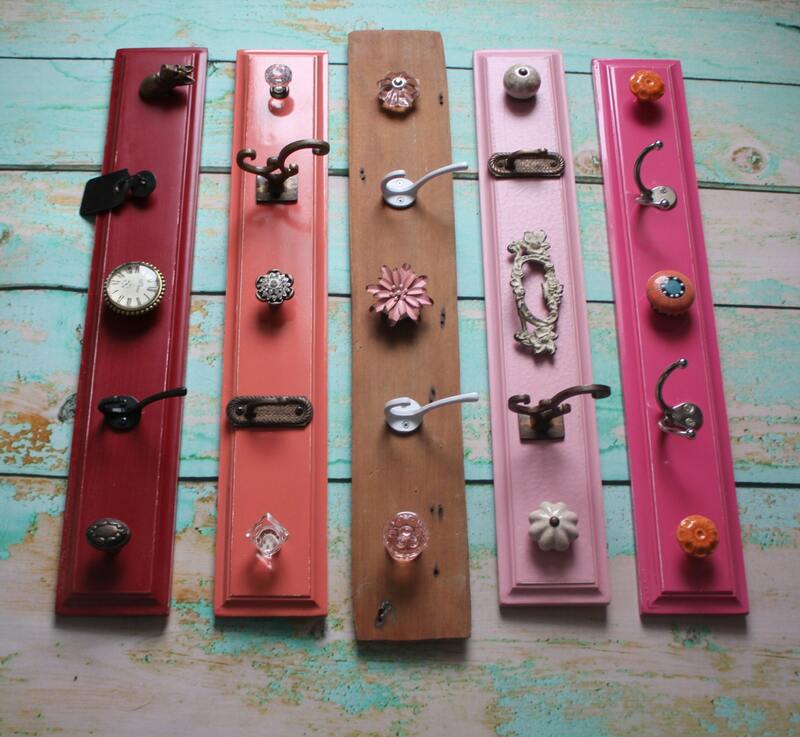 The variety of classic knobs and hooks create an elegant look in the various colors and shapes. 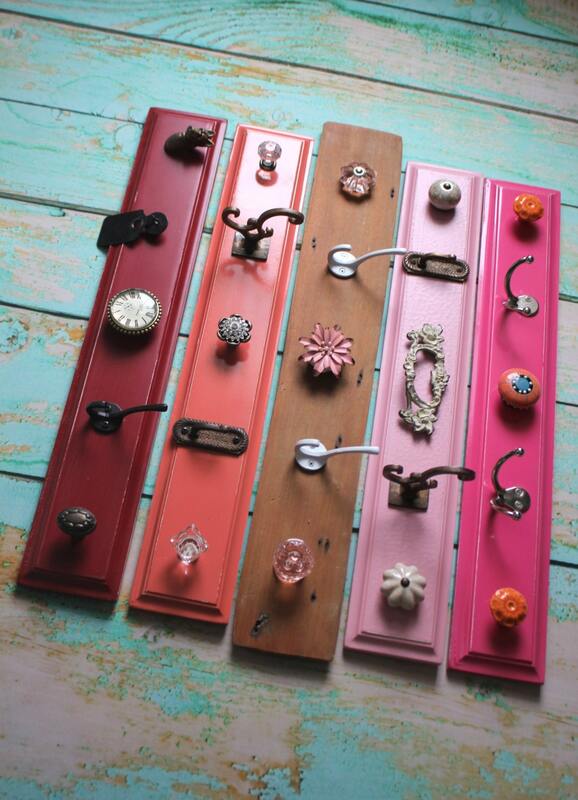 This is for one hook rack, please select your color option before checkout. Contact me with any questions! I am happy to work with you on a custom piece if your color/knob choice isn't shown. If you want a large quantity, I have can give you a discount.